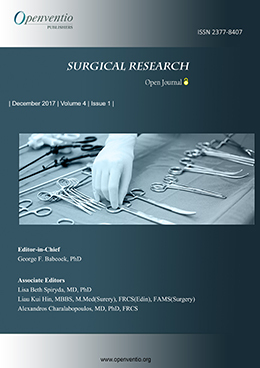 The term “Surgical Research” is like an umbrella covering various approaches to the problems of patients and and diseases requiring surgical intervention. 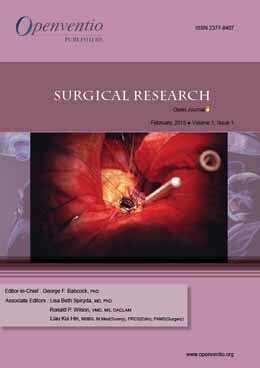 Surgical research often falls under the category of “Applied Research”, meaning all the discovered principles under other categories are being simply applied to surgical problems. The major categories of this subject includes immune system, genetics, chemistry of cells and organs, patho-physiology, pharmacology of organs, surgical procedures, clinical trials, instrumentation, cosmetology, animal models, etc. 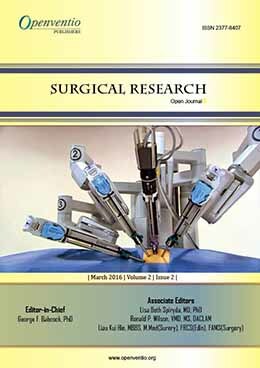 However, Openventio aims at the widespread propagation of advancement in surgical technology and research through its open journal to all the scientific community for its welfare of the patients. 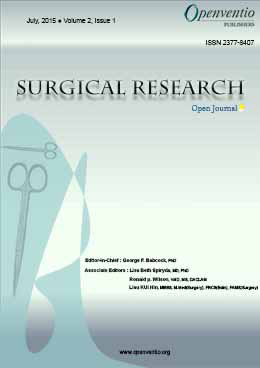 Surgical Research – Open Journal (SROJ) is dedicated to the open dissemination and robust discussion in the area of surgery and its related fields. 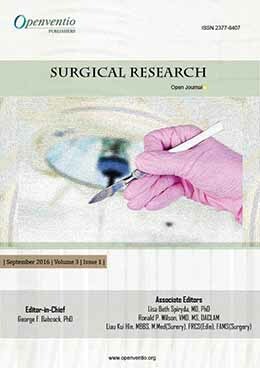 Submissions for this journal are accepted from the very basic surgical studies to the recent advancements in the surgical techniques. The audiences of SROJ includes surgeons, physicians, podiatrists, dentists, veterinarians, plastic surgeons, clinicians, surgical investigators, practitioners, educators, surgical nurse and students.